 taco tuesday Archives | What Should We Do Today? Happy Cinco de Mayo! 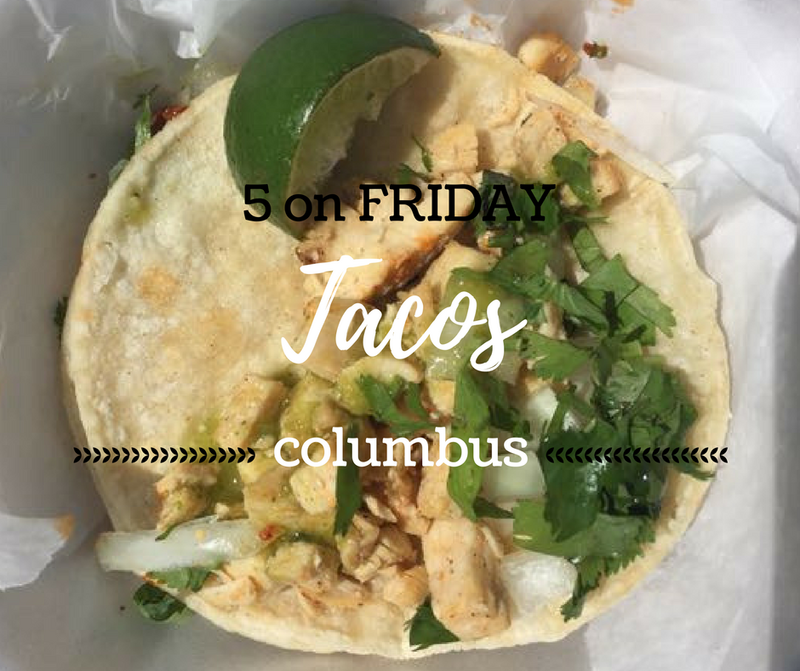 Of course this month’s Five on Friday has to be TACOS!! I love tacos! 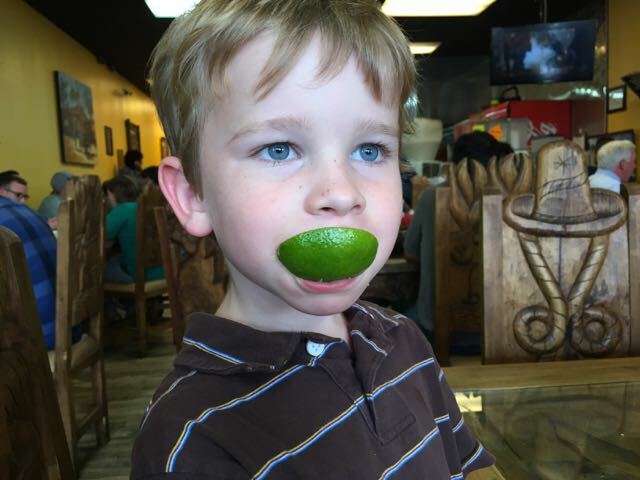 My kids don’t love tacos. How can that be? They like plain tortillas and chips and salsa, so we make it work! Four of these options I would consider to be kid-friendly. One is more of a date night . . . but we’ll get to that . . . Enjoy! 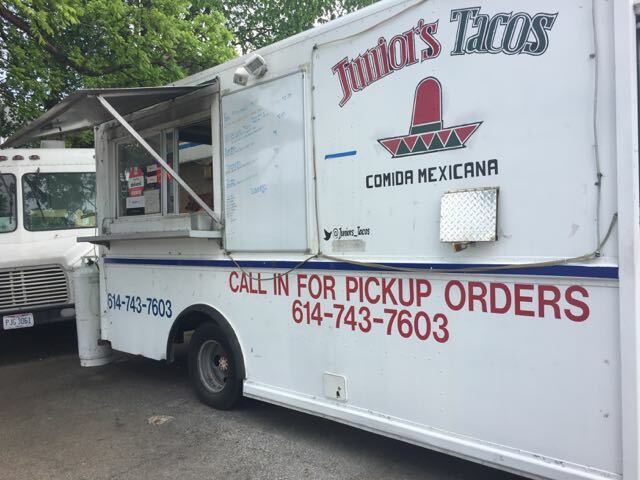 Junior’s Tacos is a taco truck that sits in the parking lot of a convenience store called Dairy Family. 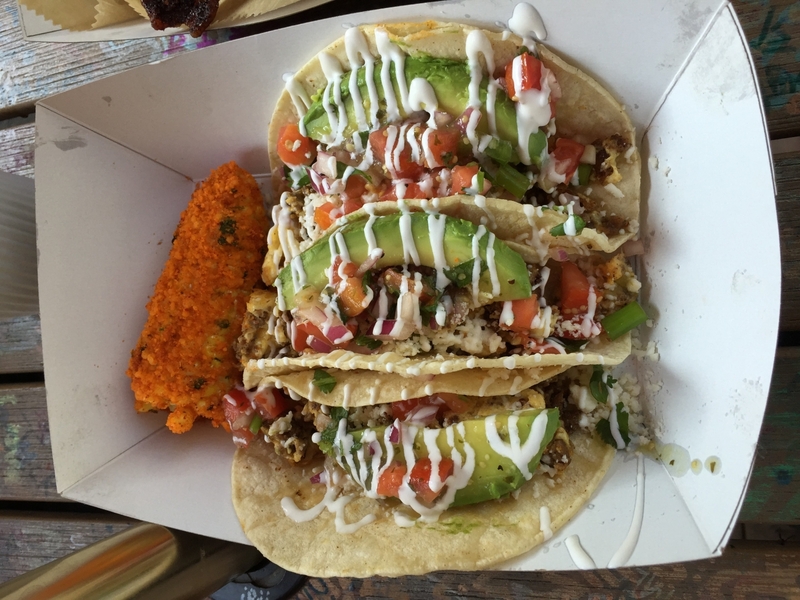 This was one of my very first, if not first, taco truck experiences, so it is dear to my heart. 🙂 It’s not too hard to find parking in the surrounding area and across the street from the truck is a park with several picnic tables. In the past, Junior’s has set up a tent with tables next to the truck. But it’s not up now so I don’t know if they will during the summer or if that’s a thing of the past. Tacos are $1.75 a piece and you can choose between Mexican or American tacos. (American have lettuce, cheese and sour cream!). 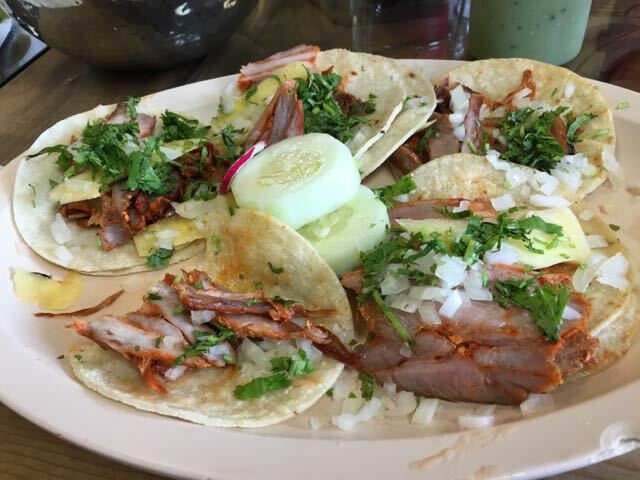 We recently moved to Westgate and we tried Zacatecas upon recommendation of one of our new neighbors! 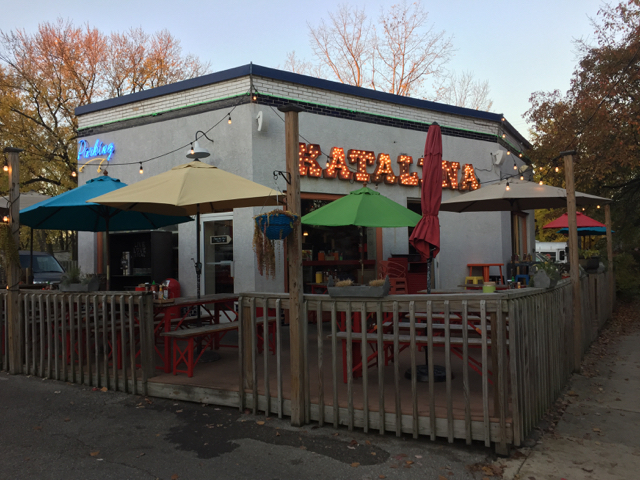 One thing I’m excited about on the west side of Columbus is all of the authentic Mexican food! Zacatecas does not disappoint! I am especially in love with their salsa! 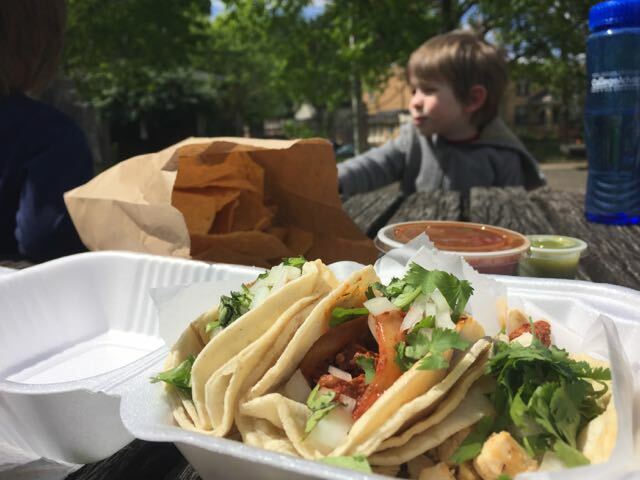 If you’re looking to venture out and try more authentic ethnic restaurants, I highly recommend alt.eats.columbus or Taco Trucks in Columbus Ohio! I could read those blogs for days, making lists of places to try! Maybe someone will argue with me here, but I don’t consider Balboa kid-friendly. So this one I’ve added as a fun date night option for your taco fix! 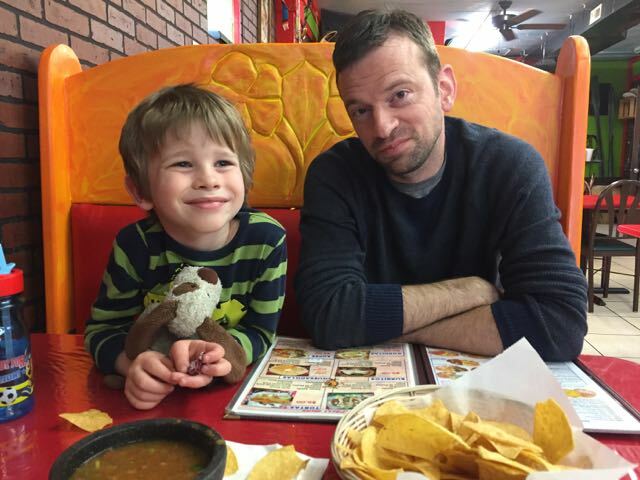 (They have 2 items on their “kid’s menu,” so to me that says we don’t expect there to be a lot of kids, but we have actually considered that there might be.) 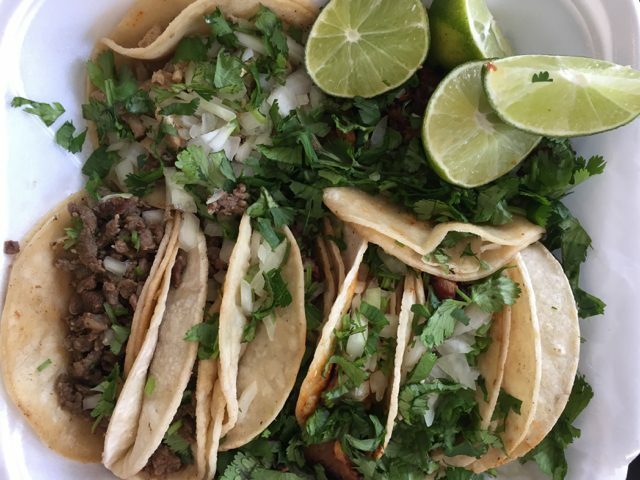 😉 On Taco Tuesday, you can get 3 tacos for $8! They are good tacos with a lot of toppings! 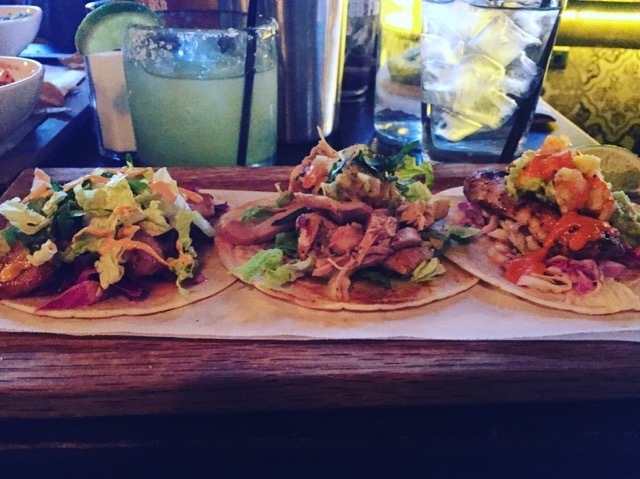 (I loved the pork belly taco the best!) I also have to include these babies below! The Balboa Island Bananas! 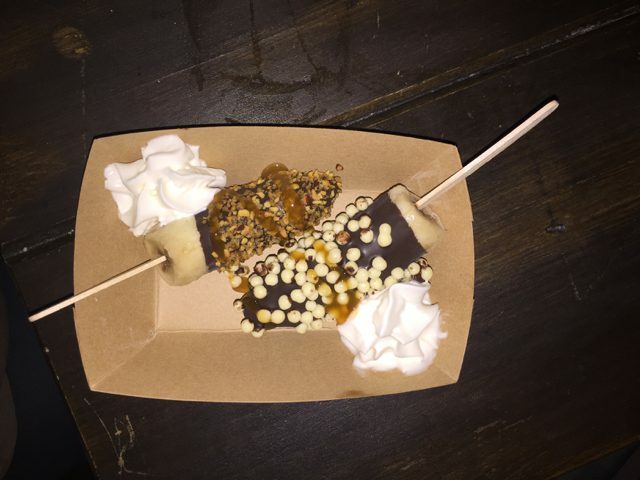 Frozen bananas dipped in chocolate with hazelnuts, white chocolate, caramel sauce and whipped cream! Yum! 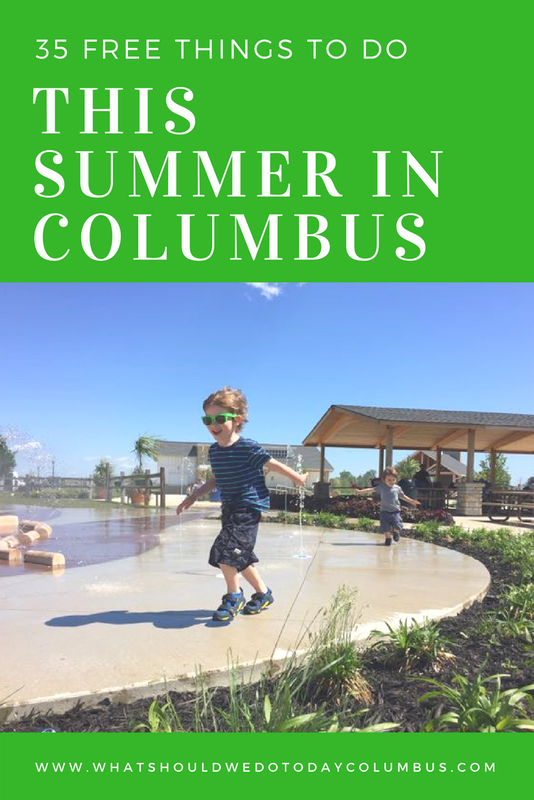 There are SO many place to get tacos in Columbus! What’s your favorite?